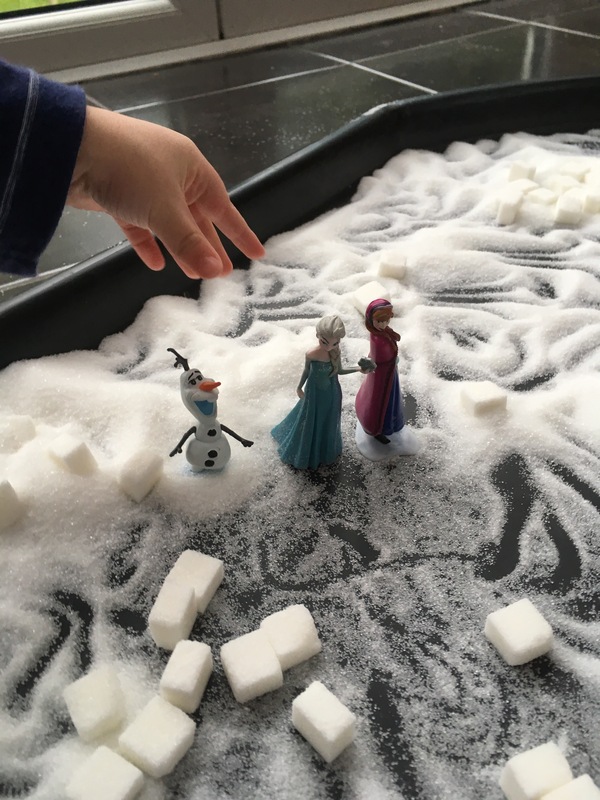 This week, as part of our advent activities, we had frozen day. 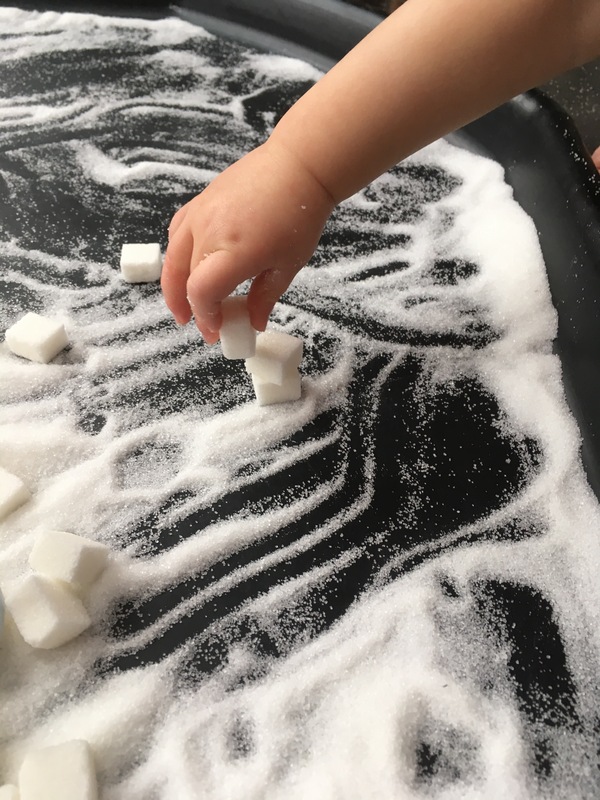 However, using sugar cubes with a 1 year old who loves putting things in her mouth may not have been the wisest idea – once she figured out it tasted pretty good I spent most of my time removing sugar cubes from her mouth and stopping her from eating them! 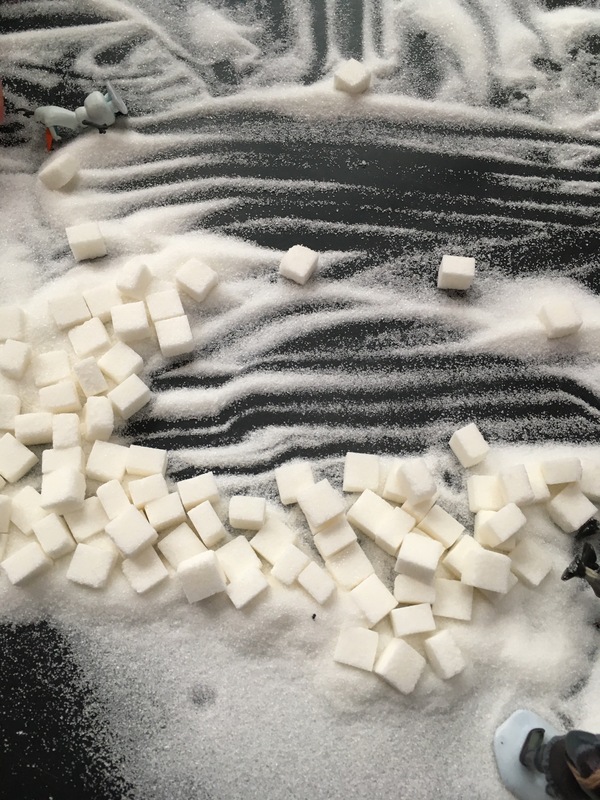 We also had a go at building some walls and towers with the sugar cubes. 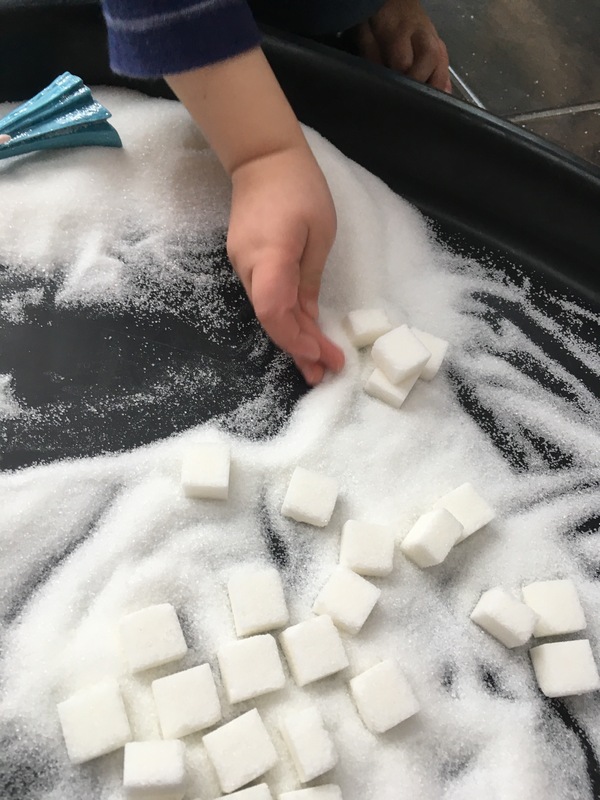 Building towers even distracted little monkey from trying to put the cubes in her mouth for a while! 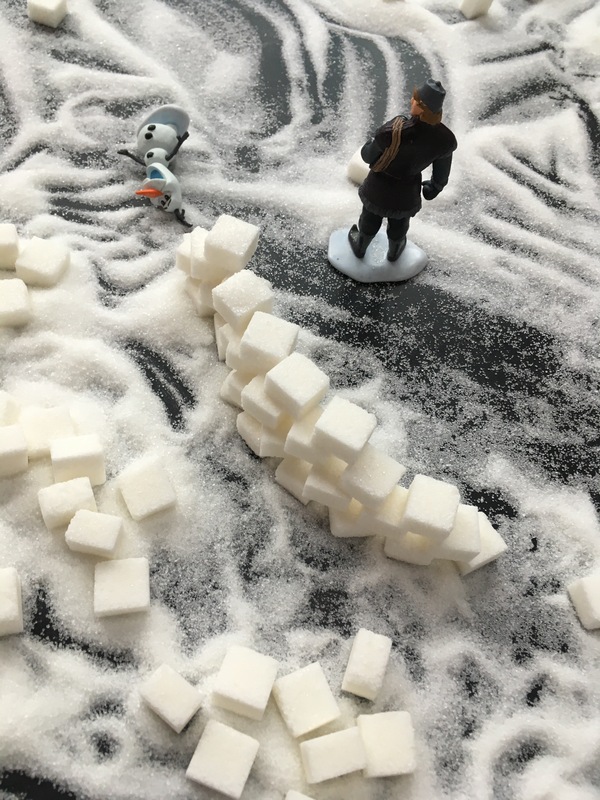 Bobcat enjoyed sprinkling the “snow” on the sugar cubes and characters, trying to hide them under it. 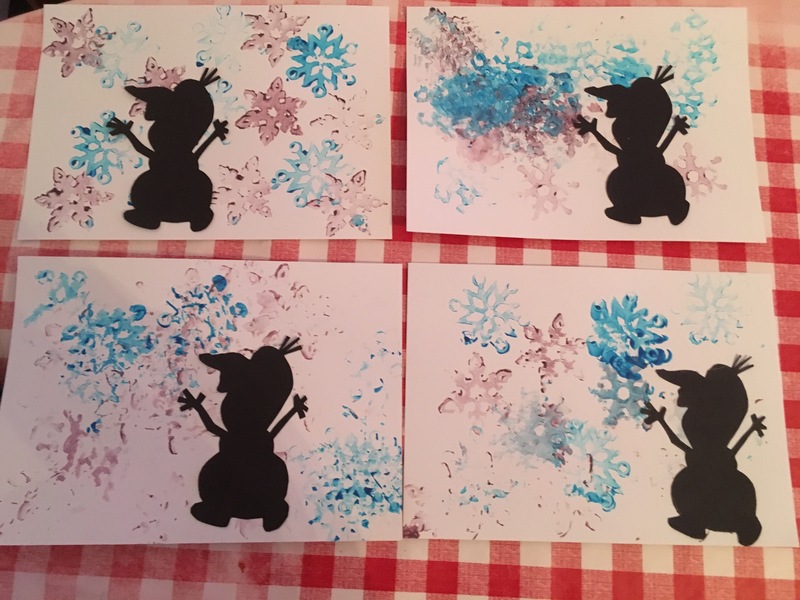 For our craft activity we did snowflake printing, then stuck on some Olaf silhouettes once they were dry. 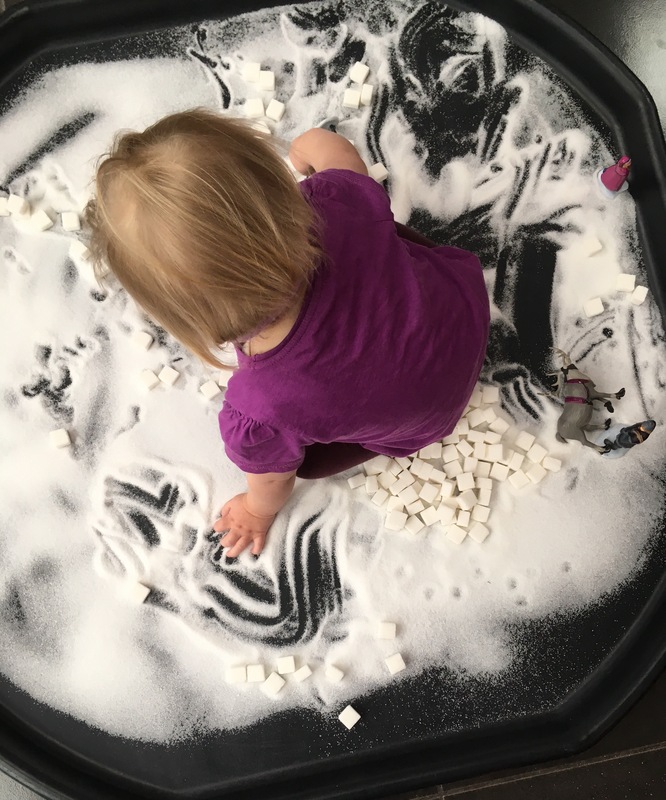 I tried to get Little Monkey to join in with this activity but she just chewed the foam stamp instead! 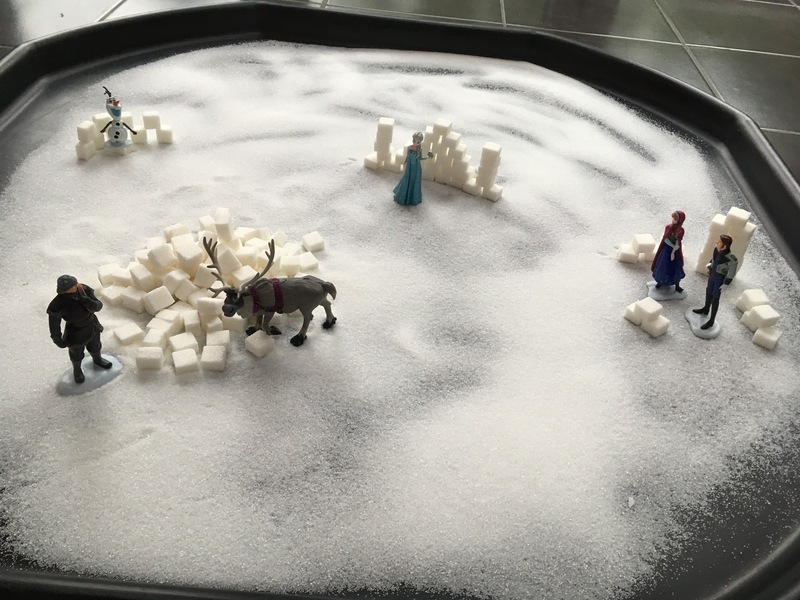 Then we made frozen themed biscuits. 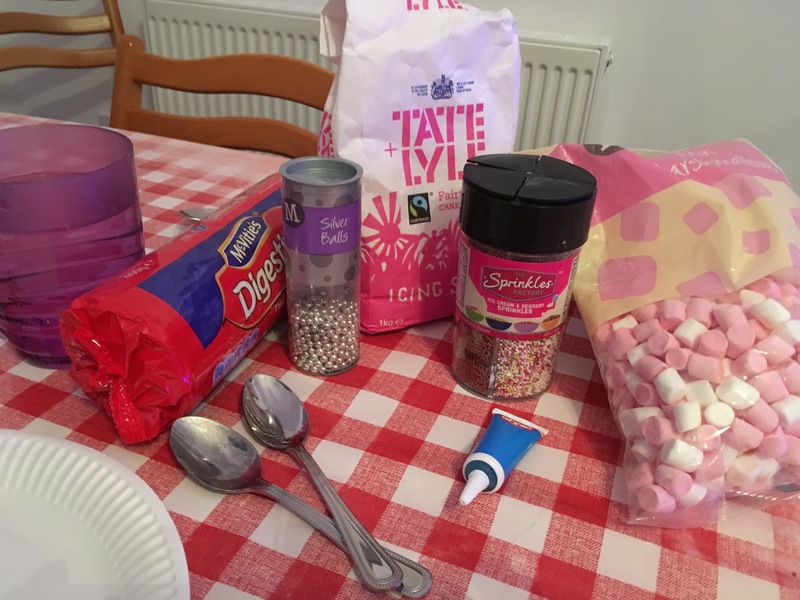 I used digestive biscuits as they were all we had at home. 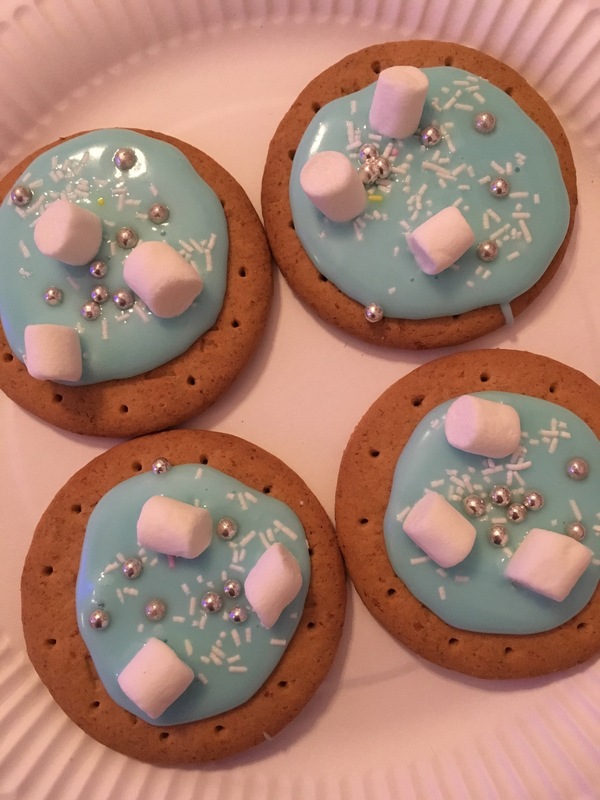 We covered them in icing sugar mixed with blue food colouring and then decorated with marshmallows, white sprinkles and silver balls. 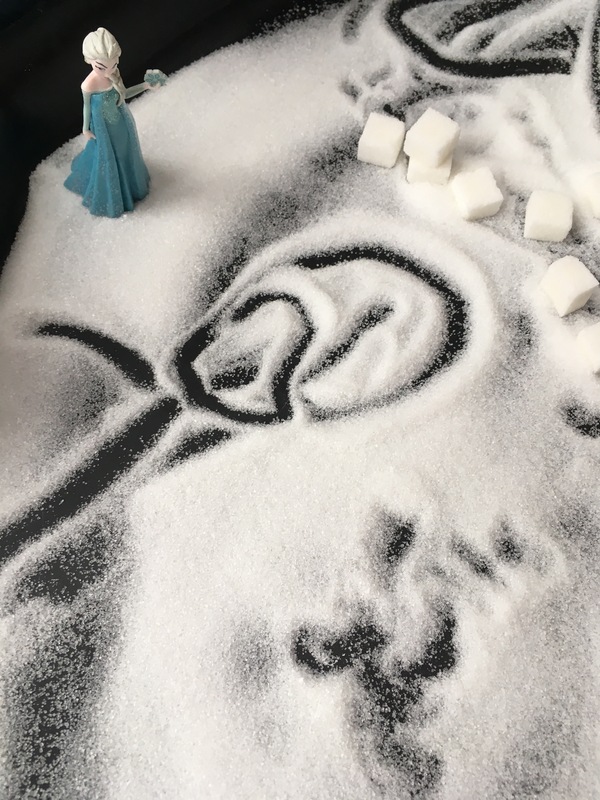 We had so much fun we ran out of time to actually watch frozen – maybe I’ll save it for when I need to get some things ready for Christmas Day!